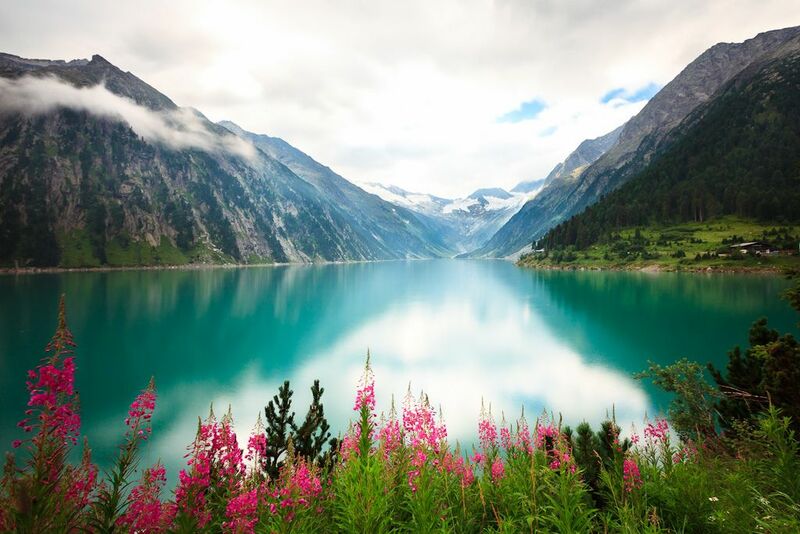 Schlegeisspeicher is one of the five artificial lakes of the Zillertal valley. 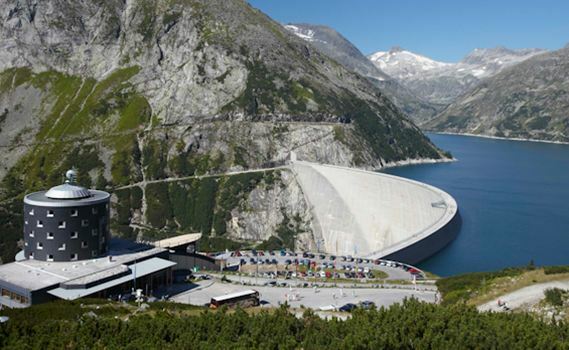 In 1965 the construction works of the artificial lake Schlegeis, and in 1970 the hydroelectric facility were commenced by the Tauernkraftwerk AG. 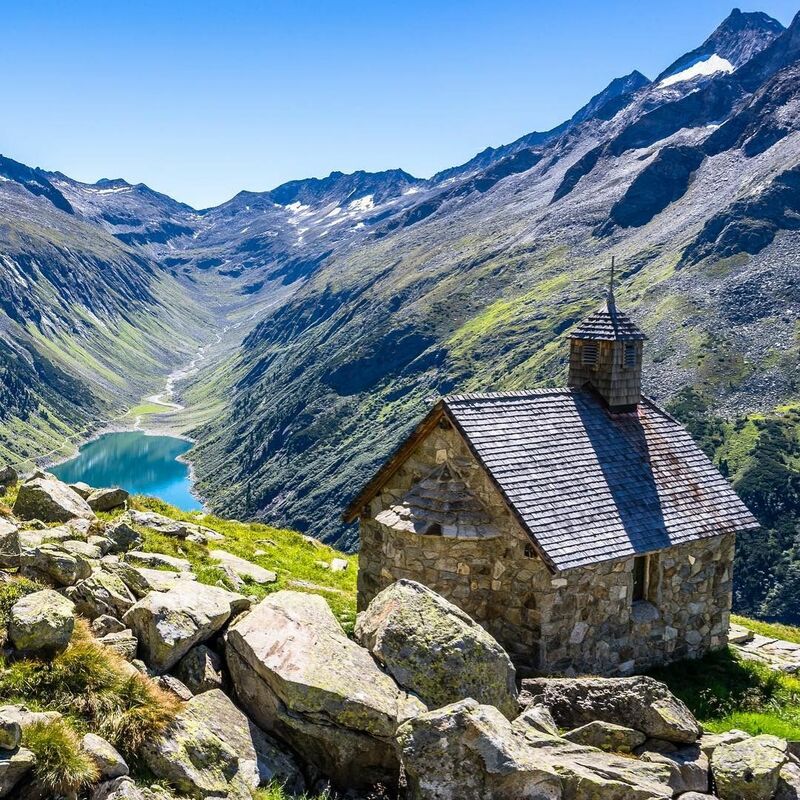 In the course of the works, a mountain hut, that is to say the Dominikus mountain hut, was swallowed up by the water masses. In order to replace it, a larger hut was constructed in a slightly higher position. The waters of the artificial lake flow through the hydroelectric facility through a drift, after electricity has been produced, proceed to the artificial lake Stillup. Schlegeisspeicher covers parts of the so-called Schlegeisgrund. Several hiking trails snake past the lake, one of the most popular photo motifs is the 131 m high dam wall. There are also guided dam wall tours. 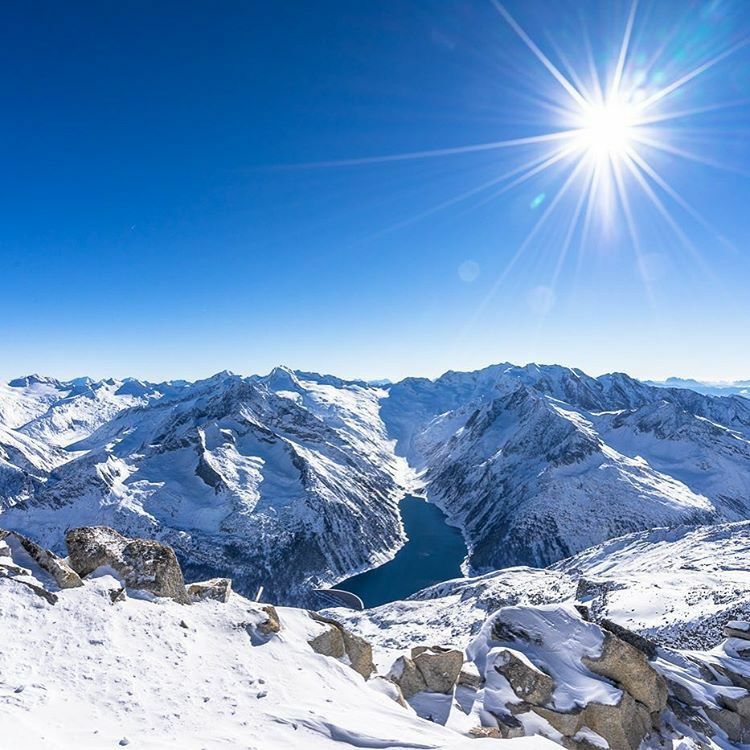 Further up, surrounded by the breathtaking scenery of the Olperer Glacier, at 2,389 m asl, there is the Olperer mountain hut, that can be reached from the lake within 1.5 hours. 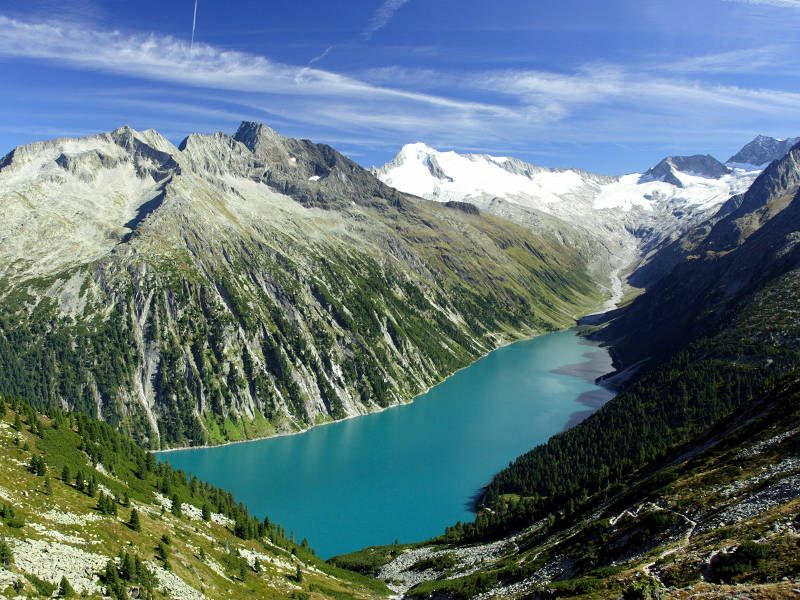 From this place you can enjoy a fantastic view on the Schlegeis basin and the mountains and glaciers of the Zillertal Alps. 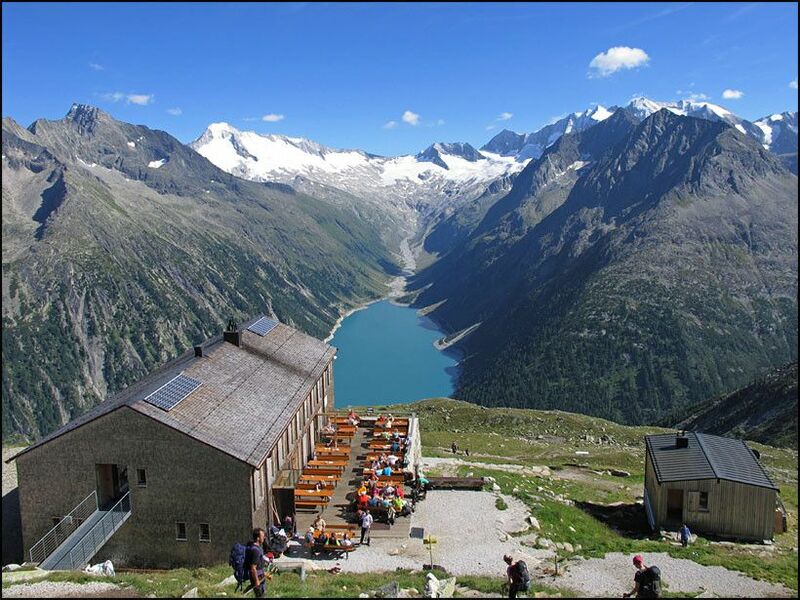 Also the tour from the lake to the Passo di Vizze, belonging to the Italian state territory, takes you about 1.5 hours. 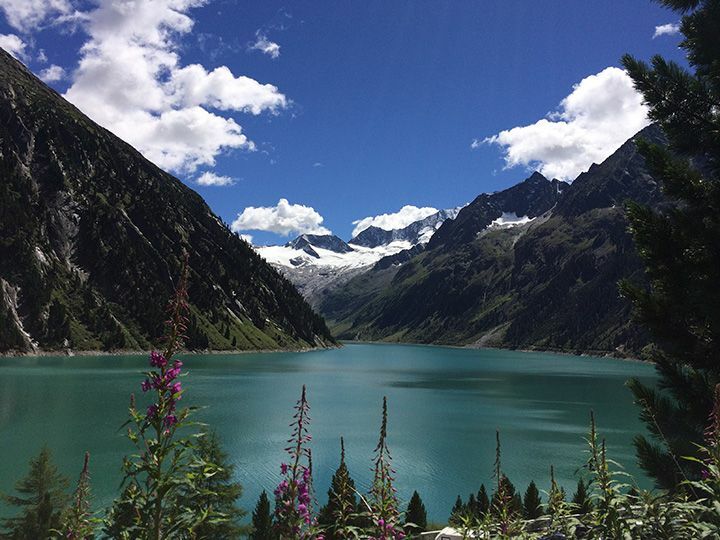 From Ginzling, a little village that belongs to Mayrhofen in the Zillertal valley, the Schlegeis basin can be reached via the Zamser valley. 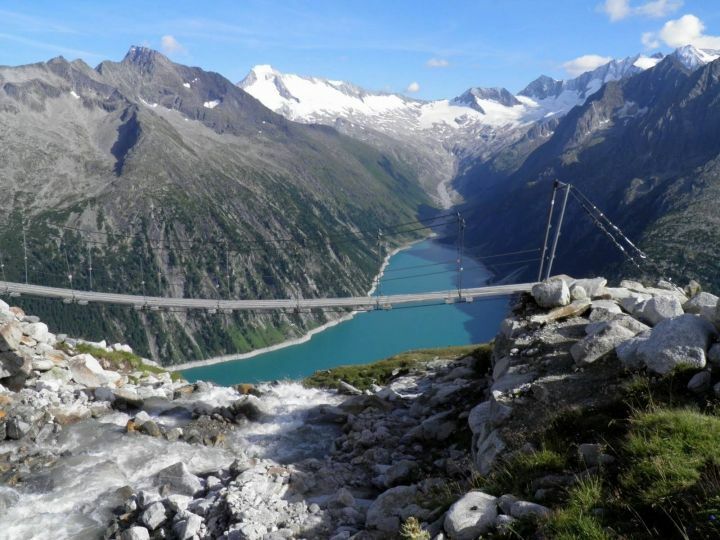 The 15 km long Schlegeis alpine road is subject to charge and open only in summer. It starts at 1,250 m asl and takes to the parking space at the lake and is characterised by eight hairpin bends and four natural tunnels. This high alpine road is above all popular with those who love motorbiking.